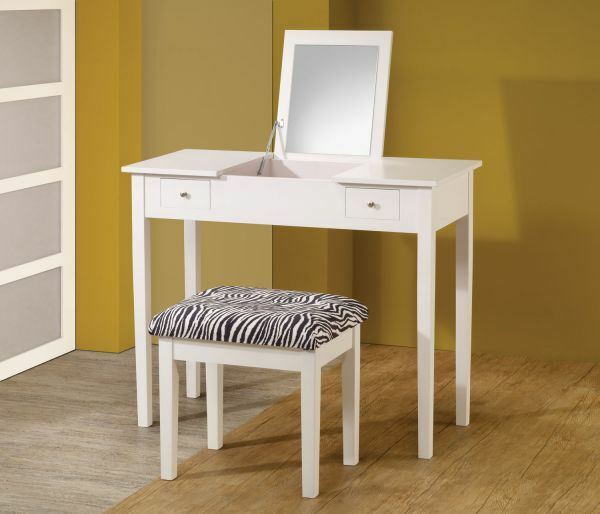 Finished a smooth white, this vanity set not only offers a chic style, but plenty of storage. 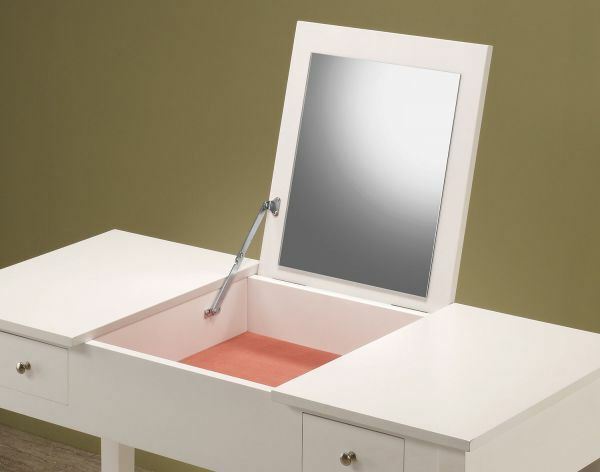 Lift up the center top to reveal a mirror and feltlined compartment for storing your jewelry and other personal items. Two small side drawers also provide additional storage space. 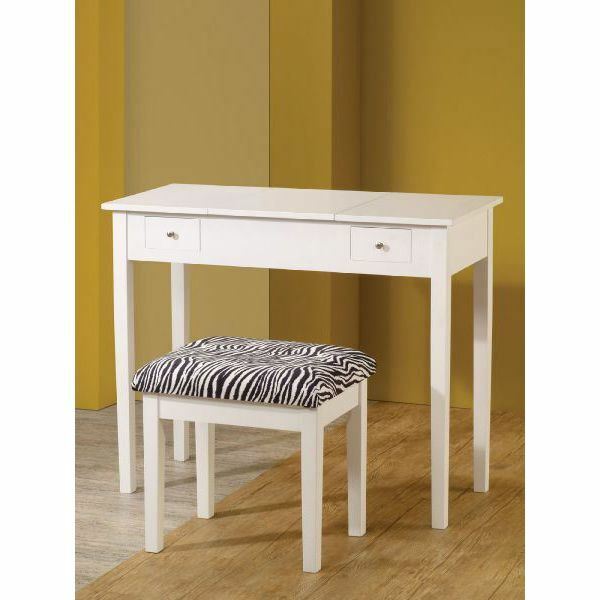 This set is complemented with a matching stool with a zebra patterned cushion.